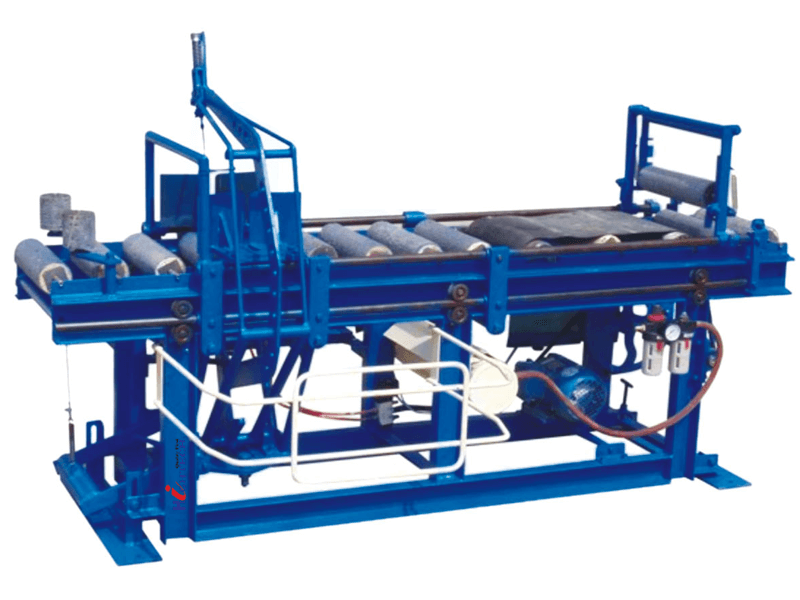 The Strip Cutting Machine can cut the clay bar automatically to required length, and then send it to the Automatic Cutter. It can make accurate length, vertically cut, smoothly delivery, adjust speed without damaging the bottom of the mud. Most enterprises can use up materials completely to avoid wastage so that production can be increased 8-15%. Thus, it can increase the rate finished products, prevent the duplicate extrusion, reduce the power consumption and abrasion, also instead of dynamic belt (which convey the waste material for reutilization) or man power’s operation, so that overall costing of the bricks greatly reduces! It is suitable for harder and semi-hard mud with the height of 160.